Let's be honest...Gollum has just not had his day in the sun. First, let's state the obvious...the lack of vitamin D could get to anybody. Did they even know about Seasonal Affective Disorder in Middle Earth? We get moody when we haven't see the sun in a week...can you imagine hanging out in a dark and dank cavern all day and night, for years on end? We can't help wondering if everything would have been different if Gollum would've just taken the One Ring and hidden out on a tropical island somewhere. Sure, the Ring still would've still continued to corrupt the little guy, but then at least he'd have some sun and surf to help him chill out a lil' bit when he was riding those waves (get it?) of obsession. And then, you've got some big-footed bozo coming into your space, trying to steal your (precious) stuff... No wonder Gollum wanted to do murder! 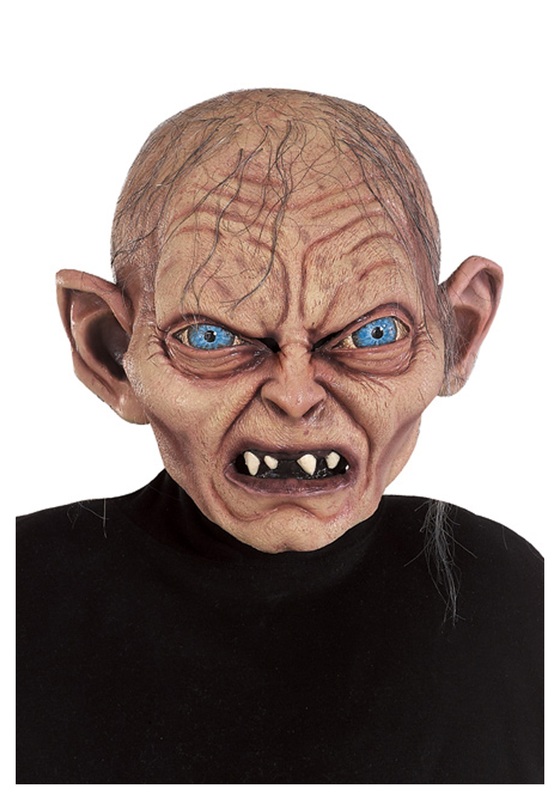 So think of this officially licensed Gollum Mask as a chance to do the little guy some justice. Sure, he looks horrifying, but they didn't exactly have a great dental plan in the Misty Mountains, now did they? Same goes for his hair...the dude was just workin' to make the best with what he got. At least you know he cares about stuff, you know? He's got passion. And when he loves something...he really loves it, know what we're sayin'? Those are impressive qualities! He's an underdog who was just trying get back the One Ring that was never rightfully his, even if it meant murdering anyone who stood in his way! And then he died a tragic death going after the thing that he loved the most...we can all relate to that, right? 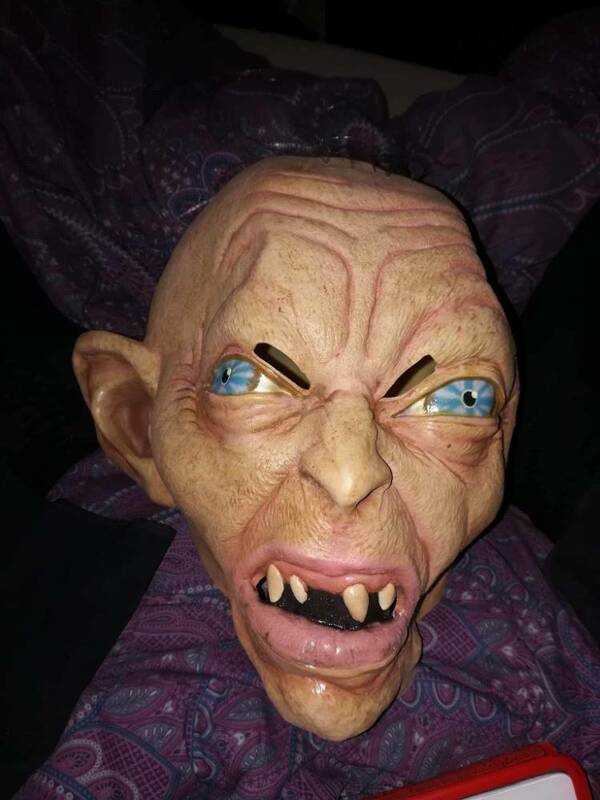 So this Halloween, get out there and spread the word about this unsung hero by pulling on this Gollum Mask and giving him his day in the (late autumnal evening) sun!